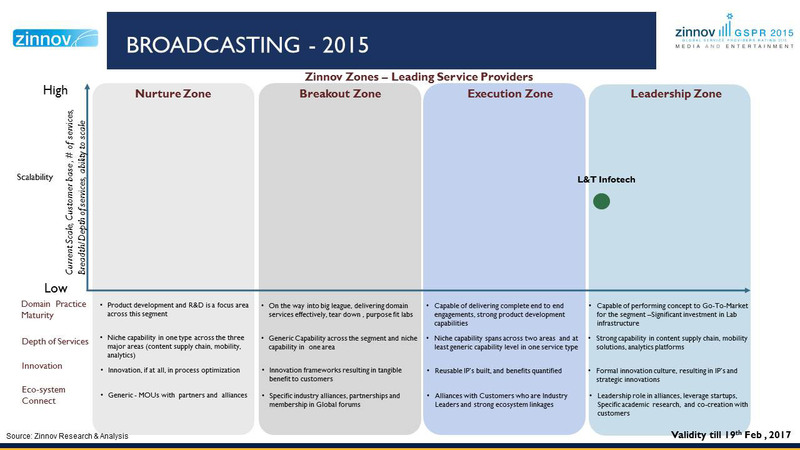 Zinnov’s Global Service Providers landscape study, focusing on the Media & Entertainment (M&E) vertical has recognized L&T Infotech in the Leadership zone in the Broadcasting se​gment. “L&T Infotech has been rated in the leadership zone in the Broadcasting segment in Zinnov’s M&E GSPR ratings, primarily due to its ability to service customers in emerging areas of content distribution and digital delivery. Further their ability to package solutions in areas of BI, Reporting and content management with traditional IT services makes them a strong contender for partnership in the traditional broadcasting space,”said, Sidhant Rastogi, Partner & Practice Head, Zinnov. 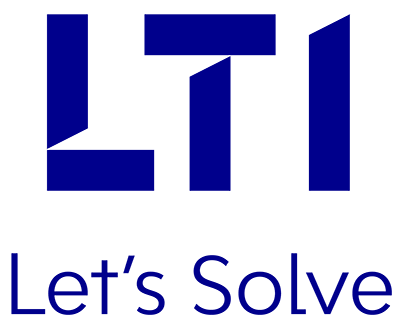 LTI has a strong service portfolio spanning across digital supply chain, content management and enterprise system transformation, making the company a strong partner for any organization in the Media and Entertainment space. The Media & Entertainment (M&E) space is divided into eight major segments – Broadcasting, Entertainment, Publishing, Information Services, Gaming, Marketing & Advertising, New Media, and Education. L&T Infotech has participated in seven of these eight media segments in Zinnov’s global landscape study. The study involved evaluation of Service Providers covering parameters such as Domain Practice maturity, Depth of services, Innovation and Ecosystem connect. To know more about LTI’s profile for Media & Entertainment from Zinnov click here.